Skye Gravestones | Neil Macphie. Mary Macleod. 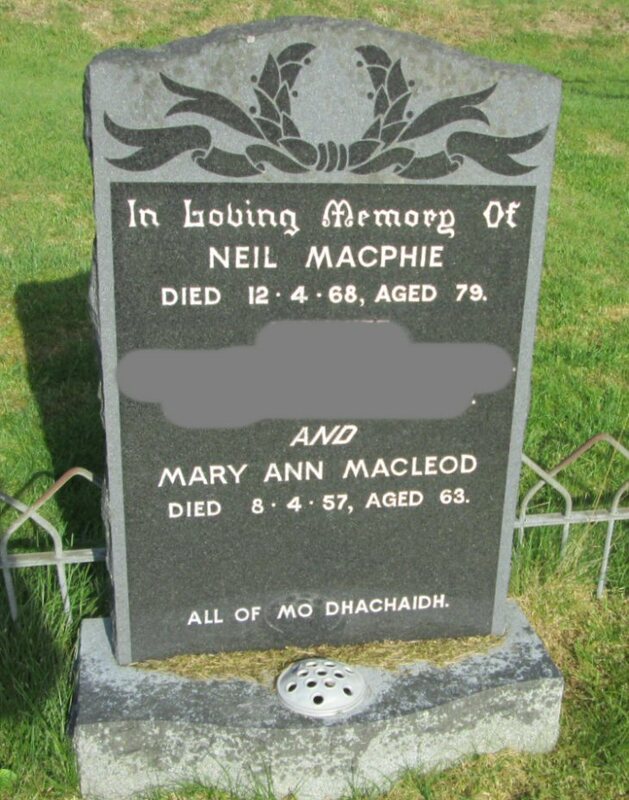 In loving memory of/NEIL MACPHIE/died 12.4.68, aged 79/["recent"]/and/MARY ANN MACLEOD/died 8.4.57 aged 63.